(Looking towards Portland from school. Methodist Church was later moved back to make more room for the Vinton Apts.) 1913? 10A[address albel]: Mrs.Robert Arneson; North shore Road, Oswego, Oregon. Description Scanned as B & W; tape residue; pin holes. 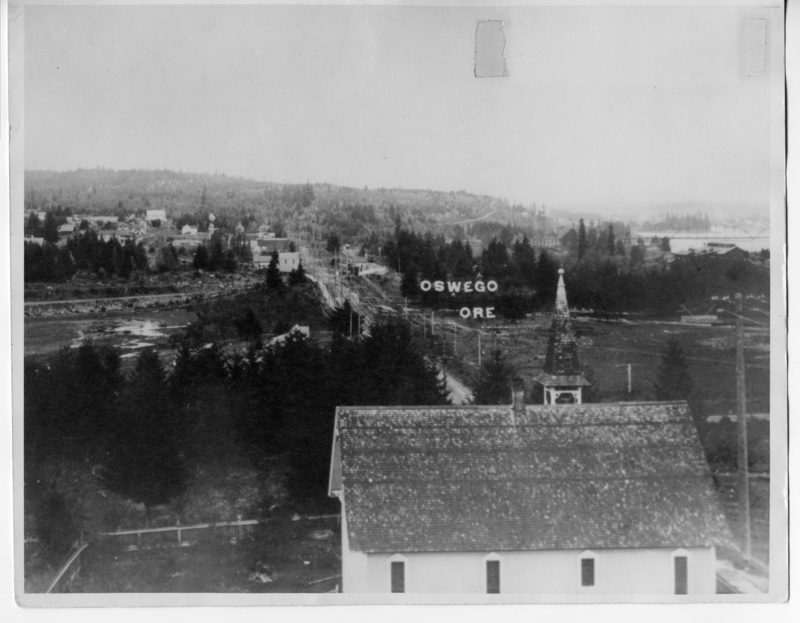 Same as #3519 and very similar to 223a & b. Imprinted on front: Oswego Ore. See Lake Oswego Vertical File under Churches-Methodist for a history of the church and more photos. Transcription (Looking towards Portland from school. Methodist Church was later moved back to make more room for the Vinton Apts.) 1913? 10A[address albel]: Mrs.Robert Arneson; North shore Road, Oswego, Oregon.